As of 2019, the situation has changed. Kosovo is an independent state but only partially recognised. Russia has invaded South Ossetia, Abkhazia and Crimea. The Serb entity in Bosnia and Herzegovina is threatening to split. The UK is dealing with Brexit at the same time when EU politics are fragmented, and the US has elected a president who does not share the same values as his predecessors. A final agreement between Kosovo and Serbia to settle long-standing disputes is beginning to take shape. The presidents of both countries, Hashim Thaci and Aleksandar Vučic, appeared together at a news conference in the Austrian town of Alpbach, on the August 25th 2018 . However, Vučic’s approach changed significantly during his keynote speech in North Kosovo in early September where he called for reconciliation between Serbs and Albanians but also praised former Serbian dictator Slobodan Milosevic. President Vučic failed to deliver a speech that simultaneously was acceptable to the West, struck nationalist chords with Serbs, and sought reconciliation with Albanians. Since June 2018, both sides in the EU-mediated talks on the normalisation of relations between Serbia and Kosovo have stated that the negotiations are entering their final stage. Although the EU has made it clear that governments in Pristina and Belgrade must normalise relations to advance toward membership in the bloc, tensions remain high in Kosovo even after eight years of negotiations and ten years of independence. The failure of Kosovo to join INTERPOL infuriated Kosovo’s authorities. Kosovo retaliated by imposing a ten per cent tariff on Serbian and Bosnian goods and later increased it to 100 per cent. Furthermore, Kosovo has adopted the law to transform its security forces into a regular army. Serbian authorities, on the other hand, have said there will be no continuation of dialogue until Kosovo withdraws its trade barriers. The EU-facilitated dialogue has struggled to produce a final settlement, unable to reach a deal between the two nations. Most importantly, the EU itself has been incapable of forging a common position on Kosovo. EU member states have different positions when it comes to Kosovo: five of them (Cyprus, Greece, Romania, Slovakia and Spain) do not even recognise its independence. As we enter the final stage of the facilitated Brussels negotiations, the window for implementing the Association/Community of Serb municipalities is fading away,whereas terms such as land swap, exchange of territories, border adjustments and border corrections gain momentum. This has left the international community unprepared as both Vučic and Thaci come up with a relatively common idea to solve their dispute. If Kosovo and Serbia are to become EU member states one day, then a normalisation agreement that is legally binding and thorough is necessary. Kosovo and Serbia are being pressured to reach a deal and end their cold peace. EU Commissioner for Enlargement Negotiations Johannes Hahn stated that the “goal of [the] EU should be that Serbia and Kosovo reach an agreement by the middle of 2019.” Proposals for the final status of Kosovo and its future relations with Serbia are once again in the center of public attention. On November 11th, both Thaci and Vučic were among the many leaders invited by French President Emmanuel Macron to mark the 100th anniversary of the armistice that ended the First World War. What makes this occasion special from the Kosovo perspective is a brief but historical meeting between Thaci and Russian President Vladimir Putin. Although Russia has opposed Kosovo’s independence on almost all fronts, Kosovo is aware that it must improve relations with Russia in order to become a member of the UN. President Thaci tweeted that President Putin supports a comprehensive and binding deal between Kosovo and Serbia but he did not provide any further details. However, the important question is: what kind of deal is Mr. Putin is willing to accept? American President Donald Trump has also emphasised the importance of reaching a final deal. For the first time since the beginning of the Brussels Negotiations in 2011, a US president has commented on the issue. This comes as a big surprise, considering Trump’s lack of interest in this part of Europe. One thing is for sure: Trump and Putin’s involvement on this matter is no accident. 2019 might experience serious developments of existing disputes and involve changes of current borders. The notion of national boundary revision carries different connotations, such as “partition,” “border adjustment,” “border correction,” “land swap” or “exchange of territories.” In principle, the change of territories along ethnic lines is presented by many as a fair deal where Kosovo can trade the Presevo Valley of Serbia (consisting of an Albanian majority) with Northern Kosovo (consisting of a Serb majority). But negotiations will be complicated in all respects. Apart from the ethnic and demographic issues inherent to territorial exchanges, Serbia also demands that the Serbian Orthodox monastery of Visoki Decani, along with some other Orthodox monasteries in Kosovo, be granted extraterritoriality (the status of being exempted from the jurisdiction of local law, usually as the result of diplomatic negotiations.). Economically speaking, Northern Kosovo is home to Gazivode Lake and the Trepca Mines — both crucial economic giants — whereas southeast Serbia contains a railway and highway (Corridor 10) that connect to Macedonia and Greece, making them of major strategic importance as well. The idea of adjusting national borders is nothing new. Various political analysts, such as former British diplomat Timothy Less, have asserted in the past that the entire region must be partitioned along ethnic lines in order to supposedly “stabilise” it. Such controversial ideas receive immediate attention in the most volatile region of Europe. Today, it is viewed as a possible solution. 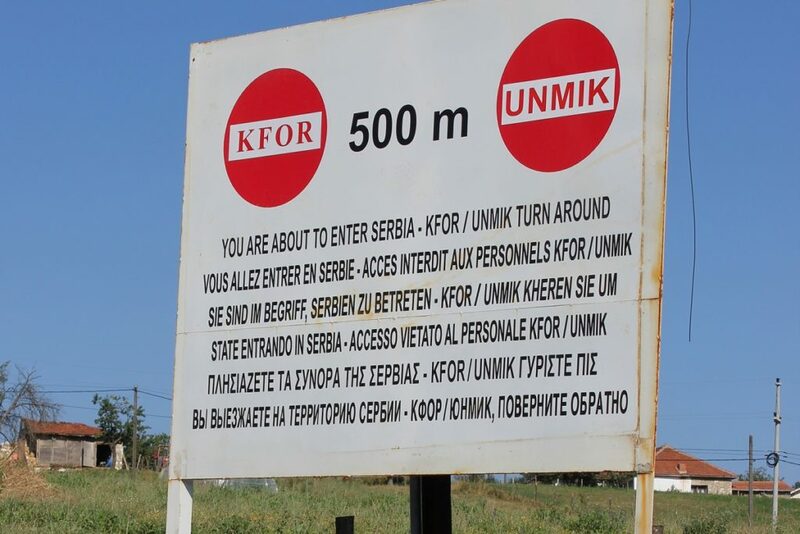 Kosovo’s President Thaci has not ruled out the possibility of resorting to territorial exchanges and has floated ambiguous terminology such as the “correction of borders”. In 2015, Belgium and the Netherlands reached an agreement in which Belgium ceded a small peninsula (about 14 hectares in area) in the Maas River to the Netherlands. In return, Belgium received a smaller piece of Dutch territory where it had already built a water lock. The swap made sense because the first plot had become unreachable over land from Belgium following the straightening of the Maas River during the 1960s. Thus, it made it difficult for the Belgian police to patrol there, transforming the area into a safe-haven for drug dealers and criminals. The border change was prompted by a violent murder and arduous police investigation. Both countries’ deputy prime ministers and ministers of foreign affairs signed the border correction treaty in Amsterdam at the end of 2016. This way, Belgium and the Netherlands settled a festering territorial dispute without firing a single bullet. It is this sort of border correction that President Thaci attempts to reach. However, he seems to overlook the fact that countries such as Belgium and Netherlands maintain excellent bilateral relations, and their agreement was a goodwill gesture. Furthermore, Thaci has yet to explain to the people of Kosovo what the compromise with Serbia will be. Instead he uses ambiguous terminology and secret diplomacy, although most of the population is already aware of the land swap option. Furthermore, a possible exchange of territories requires strong and democratic institutions and a highly transparent process. Neither Kosovo nor Serbia possess such institutions and values; thus, if there are no friendly relations between two countries, and the agreement is not proposed or signed in goodwill, then the agreement is doomed to fail. In the worst-case scenario, it can ignite conflict. 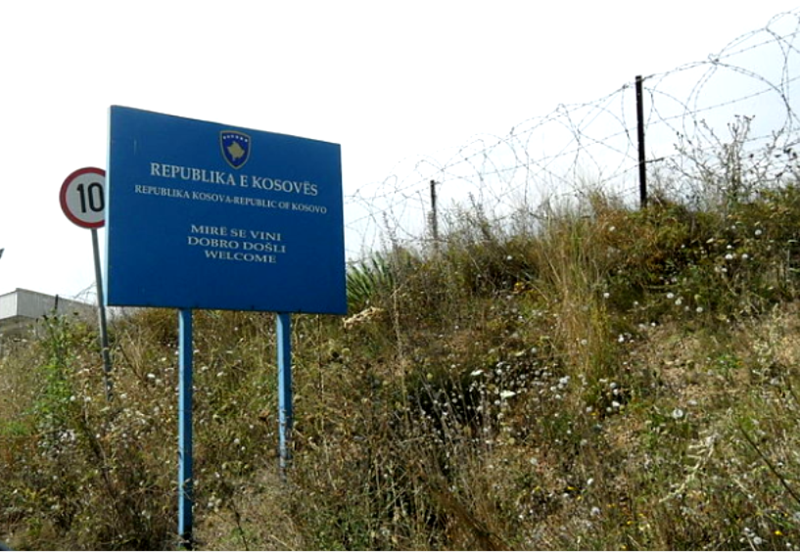 Locally, the idea of border changes produced strong criticism both in Kosovo and Serbia. Kosovo’s opposition and civil society are strongly against this option. The Serbian Orthodox Church declared itself firmly against the division of Kosovo or exchange of territories, as most of its holy sites are located in the southern part of Kosovo. In Serbia, Vučic might face opposition from many at home who see the deal with Kosovo as an admission that Kosovo is lost forever. However, Vučic won the last presidential election with around 54 per cent of the votes, and he carries enormous influence in daily politics as well as local media. Thus, his legitimacy is strong among the electorate. In addition, Vučic plays the victim card, claiming that he bares a strong responsibility to solve the “Kosovo knot” once and for all, so that future generations can live in peace. He often states that it is better to win something than lose everything; thus, Vučic’s rhetoric heightens the sense of emergency accompanying the final talks. Kosovo’s president, however, struggles more than Serbia’s. Not only is the opposition against Thaci, but he also lacks support from the government and Prime Minister Haradinaj. The media and civil society strongly question his mandate to represent Kosovo, since Kosovo is a parliamentary republic and, unlike Serbia, the president of Kosovo is appointed by the parliament, not directly by the people. The question of legitimacy remains valid, as does the question of credibility. At the end of September, more than ten thousand people gathered at Pristina’s main square to protest Thaci’s ideas. [ The protest was organised by the main opposition party, the Self-Determination Movement (LVV). It is believed that the party of Ramush Haradinaj, the Alliance for the Future of Kosovo (AAK), made a deal with Kosovo’s Democratic Party (PDK) to choose Haradinaj as prime minister, expecting him to handle domestic politics. 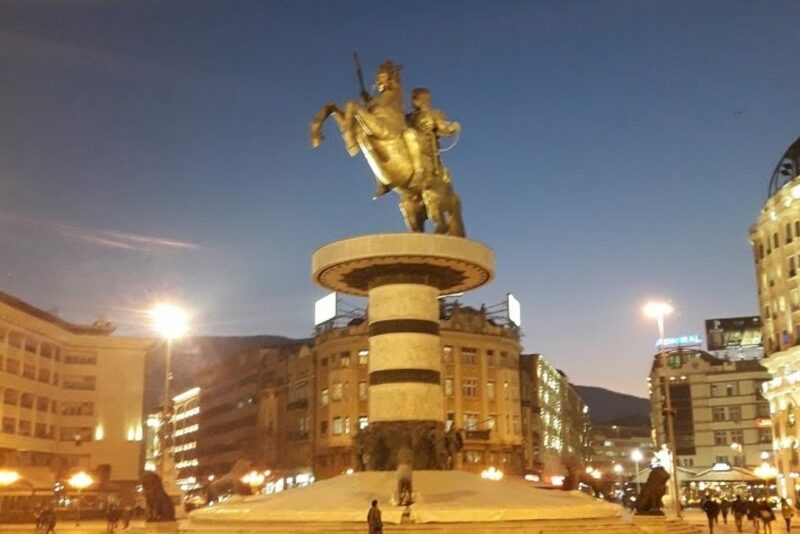 In return, PDK gained control over most of the ministries and paved the way for President Thaci (the former leader of PDK) to deal with foreign policy, particularly the dialogue with Serbia. As the media and civil society question Thaci’s legitimacy, it seems that Haradinaj is grasping this opportunity to further weaken Thaci’s position. The parliament of Kosovo has adopted a resolution which will select a new dialogue team to negotiate with Serbia. According to the resolution, the team will consist of representatives from the government, opposition and civil society. The situation in Bosnia and Herzegovina remains volatile. The Serbian political representatives in Bosnia and Herzegovina has shown tendencies in the past to declare independence or reunite with the Serbia. For instance, the Serb representative of the tripartite Presidency of Bosnia and Herzegovina Milorad Dodik has stated that he will demand a UN seat if Kosovo gets one. At the end of May, Dodik stated at a lecture given at the Faculty of Political Sciences in Belgrade that the Republika Srpska (the entity within Bosnia and Herzegovina) and the Serbia should join as one state in the future. In Kosovo, the exchange of territories would automatically open the debate for reunification with Albania. If not through a federal system, Kosovo would probably consider the confederate system. This would be an excellent offer to sell. The reunification could be argued on two bases: historical claims and socio-economic prosperity (more development, less barriers). Kosovo citizens would automatically feel more secure and represented being in NATO, the UN and other international bodies and without visa restrictions. However, this could be problematic for Albania, as the EU would put enormous pressure on them not to undertake such a choice. Angela Merkel said during a press conference in Berlin, “The territorial integrity of the states of the Western Balkans has been established and is inviolable… this has to be said again and again because again and again there are attempts to perhaps talk about borders and we can’t do that,” thus rejecting any idea of trading territories. [ The reason is simple: every time a Balkan country changed its borders, conflict or war ensued. The EU wants to avoid the slightest risk of having an armed conflict in the most volatile region of Europe. Border adjustments between Kosovo and Serbia carry implications beyond the Balkans. Russia could take advantage in Crimea, Abkhazia, South Ossetia and Transnistria. As such, the territorial swap alternative is more likely to create more problems rather than it is to solve the current one. The important question is: what if Kosovo and Serbia agree to exchange territories? In this event, it would be very difficult to argue against their negotiation. After all, the logic of reconciliation and cooperation dictates that such countries must agree with each other, and that the agreement must not be imposed from the outside. Changing national borders is an easy idea to mention, but it is hard and dangerous to implement. The partition or exchange of territories between Kosovo and Serbia would reestablish ethnic boundaries and increase the likelihood of local ethnic violence; it could possibly even repeat the ethnic violence of March 2004. In addition, border adjustments would impact the region as a whole. This arrangement could spark a wave of nationalism that would surely open the old, nationalist Pandora’s box of the Balkans and create incentives for other minorities in the Western Balkans to secede or reunite with their ethno-state. The creation of ethno-states would be an excellent opportunity for nationalists to advocate reunification and feed the collective imagination of romantic nationalism to their people. Only then might the West understand the virus they have unleashed by choosing a “pragmatic solution”.